the core terms of any viewer-driven aesthetic. 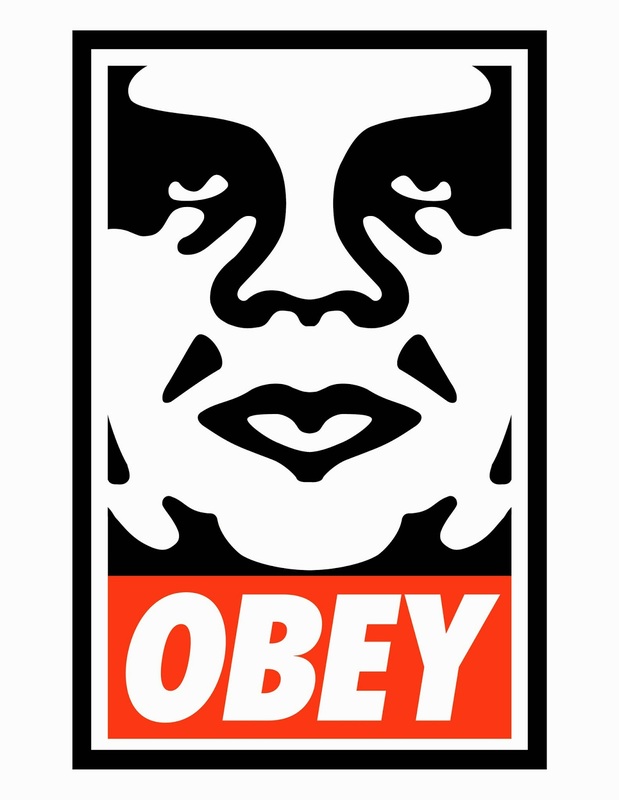 “The OBEY sticker attempts to stimulate curiosity and bring people to question both the sticker and their relationship with their surroundings,” writes street artist Shepard Fairey in his 1990 Manifesto. These are the terms, as I see it, that any viable account of viewer-driven aesthetics must accept. That only a few artists and critics actually accept all of these terms is not my concern, but the reticence on the part of artists and critics to accept these terms either points to something central about their project—that they actually don’t care about response—or a failure of nerve, that response is the key to their project, even if they can’t come out and say that. And if Fairey* hasn’t quite entered the art historical canon, an artist like Olafur Eliasson certainly has. Speaking of his Weather Project exhibited in the Turbine Hall of the Tate Museum, Eliasson said, “I see potential in the spectator—in the receiver, the reader, the participator, the viewer, the user.” Eliasson’s sextuple commitment to the audience, the necessity for the audience to produce the work’s meaning, here through an elaborate steam and mirror system, is part of a basic trend within artistic, art historical and art-theoretical work over the past thirty years called alternately dialogical, relational, transactional, conversational, interactive, participatory, receptive or affective aesthetics. Of course the larger shift within the humanities, the shift away from artistic intentionality and toward audience reception, a shift codified but not invented by Roland Barthes in his 1967 essay on the “Death of the Author,” was firmly established as a goal in the work and writings of the minimalists in the 1960s. Morris’ basic distinction between works driven by internal versus external relationships is fundamental to any postmodern aesthetic. Internal and external relationships are the aesthetic terms for an even more basic socio-political distinction between an art rooted in subjective inner experience, a commodity predicated on privacy, and objective public experience rooted in a vision of the social collective. Of course a problem immediately emerges into view when we come to see how Morris’ so-called public meaning—meaning that occurs in the changing experience of the viewer’s embodied perception—bears a striking resemblance to the privacy Morris and the minimalists were committed to destabilizing. Because space, light, and field of vision are different for every viewer at every moment, while the internal relationships intended by the artist are fixed and singular (no matter how broad that singularity might encompass), it is hard to see how those perceptual differences Morris encourages amount to either public or private meaning, and not something closer Wittgenstein’s lamented “private language” (although language might be exactly the wrong word for the kind of privacy described here). 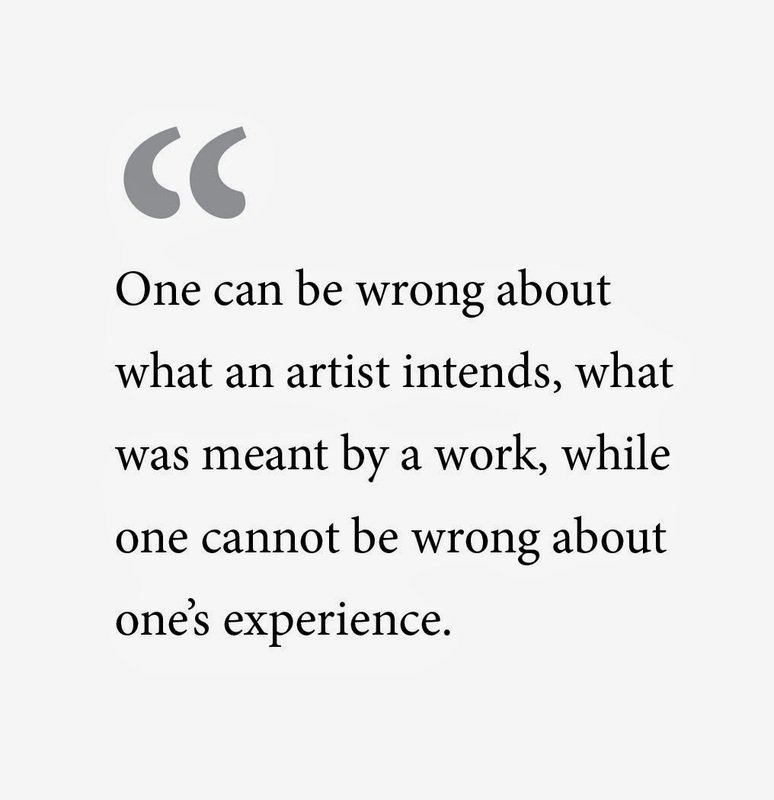 After all, one can be wrong about what an artist intends, what was meant by a work, while one cannot be wrong about one’s experience. More recently, advocates for participatory art and a related philosophical commitment to object oriented ontology have assumed a more critical stance toward minimalism. Why? Because the modes of spectatorship projected by the minimalists are limited to those generated by the perceiving body. Space, light, and field of vision are restricted to the human perceptual apparatus, even if the perceiving self is not that of the artist. The more rigorous advocates of participatory art model their practices on the non-humanist claims of Marcel Duchamp, John Cage and Robert Rauschenberg. Cage, for instance, a few years prior to Morris’ “Notes,” described Rauschenberg’s White Paintings as “airports for [the] lights, shadows, and particles” of the space around them. Rauschenberg’s White Paintings, like Cage’s own 4’33", were vehicles for audience response, what he called “nonintentional” artworks. Response, here, is no longer limited to a perceiving body but to distinctly non-human temporalities, durations, and modes of experience. "Todd Cronan’s juggernaut is several books in one. In the first place, it historicizes a crucial question in contemporary esthetics, whether or not a beholder’s exper¬ience of a work of art can properly be understood as affective rather than as cognitive. Second, it offers a strong rereading of various writings by Henri Bergson—whose philosophy has often been associated with the art of Matisse—with respect to that and related issues, showing in the end that although Bergson was continually tempted by the affective position, he never quite definitely succumbed to it. Third and most important, Cronan tracks the interplay between the affective and cognitivist viewpoints in the theory and practice of one of the great painters of the twentieth century, Henri Matisse; this sets Cronan on a collision course—from which he does not flinch —with the almost uniformly affective bias of recent Matisse criticism. 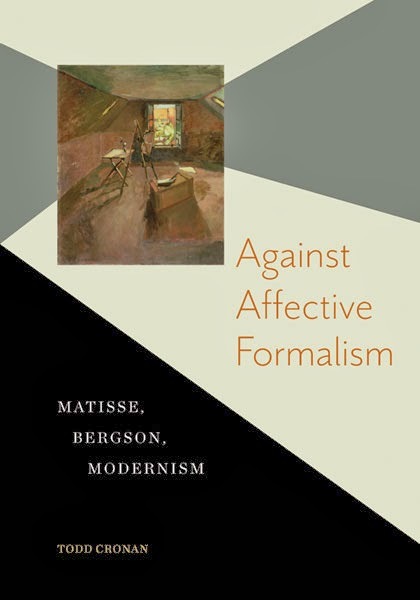 Against Affective Formalism is a major achievement, and I look forward with fascination to its reception by a field that is likely to be transformed by it." * A note from the author: My thanks to Catherine Barth for bringing Fairey's writings to my attention.